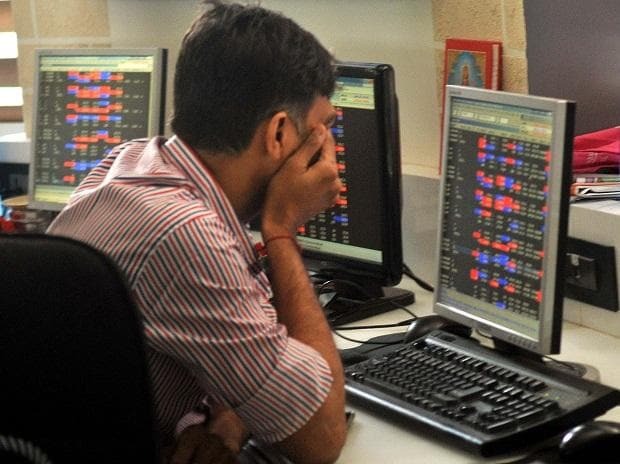 Besides these three private sector banks, Reliance Industries (RIL), Infosys, Bajaj Auto, Asian Paints, HCL Technologies, Larsen & Toubro (L&T) and State Bank of India (SBI) have gained in the range of 4 to 9 per cent from their August 2018 levels and helped the 30-share index record a new high on Monday. “There is more steam left and I feel the S&P BSE Sensex can hit 40,000 levels before the election results are known in May. The optimism stems from the strong foreign flows that we are getting. India now seems to be an attractive investment destination for foreigners amid slowing global growth,” says G Chokkalingam, founder and managing director, Equinomics Research. Among sectors, most analysts remain bullish on the banking space despite the recent run-up and suggest investors stay put with large private sector banks and good quality public sector plays. A pick up in industrial activity that will spur corporate loans, aggressive recognition of bad assets and improving recovery that will help boost asset quality, softening credit costs that is likely to propel return ratios and burgeoning share of retail term deposits which is likely to provide long-term stability to the source of funds are the factors working in favour of private sector banks, say analysts at Edelweiss Research. Axis Bank and ICICI Bank are their preferred picks in this segment. 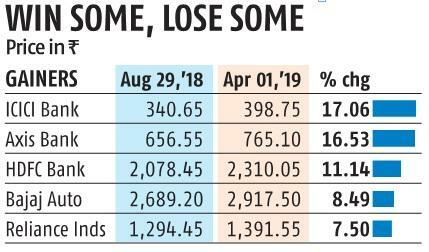 Meanwhile, 17 out of 31 stocks that comprise the S&P BSE Sensex are still trading below their August 29, 2018 levels, shows data. Tata Motors, Tata Motors DVRs, Mahindra & Mahindra and Maruti Suzuki India have lost over 25 per each on the BSE during this period. Autos, analysts say, are under pressure with respect to their monthly sales numbers. At the same time, the inventory levels are also on the higher side, which they feel, will take some time to get cleared. However, with improving liquidity and decreasing rates, there could be support coming over the next few months. "The stocks may remain sideways for short-to-medium term. In this weakness, it would be an opportune time to invest for longer term, as the fantastic consumption engine of India is likely to remain strong for long-term," says Vaibhav Sanghavi, co-chief executive officer, Avendus Capital Public Markets Alternate Strategies. Analysts at Nomura expect demand recovery in the auto segment to be back-ended in the second half of financial year 2019 - 20 (H2FY20) on the back of an economic growth recovery, election uncertainty getting over and pre-buying ahead of BS-6 norms from April 2020. "Maruti Suzuki remains our long-term top pick in the sector, followed by Mahindra & Mahindra (M&M). In the auto component segment, we like Minda Industries," wrote Kapil Singh and Siddhartha Bera of Nomura in a recent report.